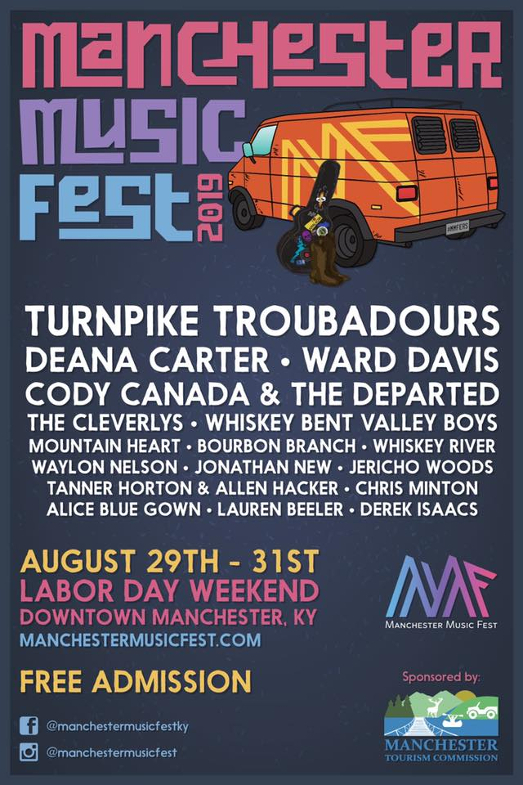 If you’re looking for something to do this Labor Day weekend and you’re within a reasonable driving distance of Manchester, Kentucky, taking in the Manchester Music Fest August 29th to 31st may not be a bad idea at all. Now in its second year, the festival features a lineup that is capped off by the Turnpike Troubadours, and also includes Deana Carter, Ward Davis, Cody Canada and the Departed, Jericho Woods, as well as many local and regional acts. And the best about it is the admission is free. Promoted by the Manchester Tourism Commission, the Manchester Music Fest is meant to bring attention to a part of Kentucky often overlooked, and to help support local business that receive a boost from the event. Along with a Kentucky flavor, the festival also has a Texas country vibe. Last year the festival featured primary headliners Whiskey Myers, Chris Knight, Ray Wylie Hubbard, Julie Roberts, and The Bottle Rockets. In it’s first year, the festival got some people’s attention with it’s acronym. They were planning to just go with MMF. However to avoid confusion with the Master’s Musician Festival in nearby Somerset, Kentucky, they decided to have a little fun and call it ‘MMF’ers.’ Banners proclaiming “Welcome MMF’ers!” greeted attendees as they arrived. Again, admission is free. 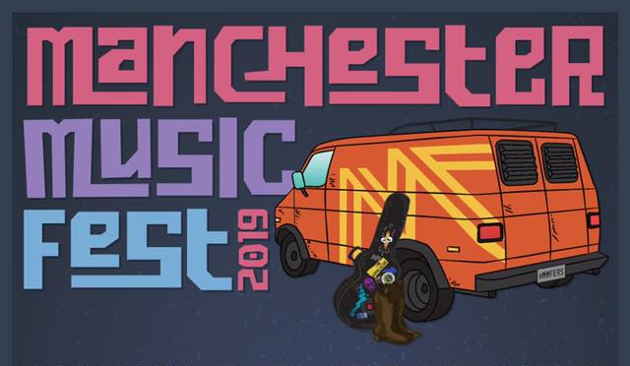 But if you go, don’t be afraid to stay the night or patronize the local businesses, because that’s what the Manchester Music Fest is all about. I can’t wait to see who they replace Turnpike Troubadours with. Very cool. Between this and the Bourbon and Beyond, it’s going to be a good summer and fall in Kentucky. Check out the line up for the Whimmydiddle Country Music Fest in Hamilton, OH Aug 16-17. Turnpike, Steel Woods, Sarah Shook, Shooter, Del McCoury and more! Whiskey Myers, Brent Cobb, American Aquarium, Justin Wells and many more.